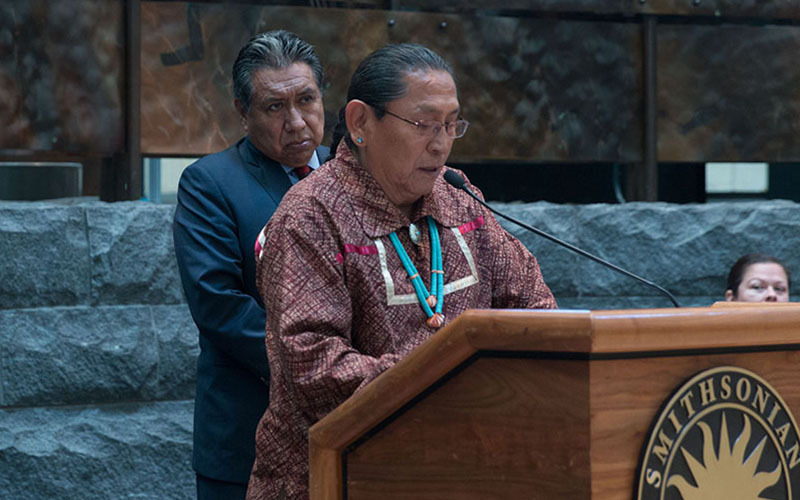 WASHINGTON – French authorities halted the sale this week of a shield that the Acoma Pueblo tribe believes was stolen from them in the 1970s, according to tribal leaders. 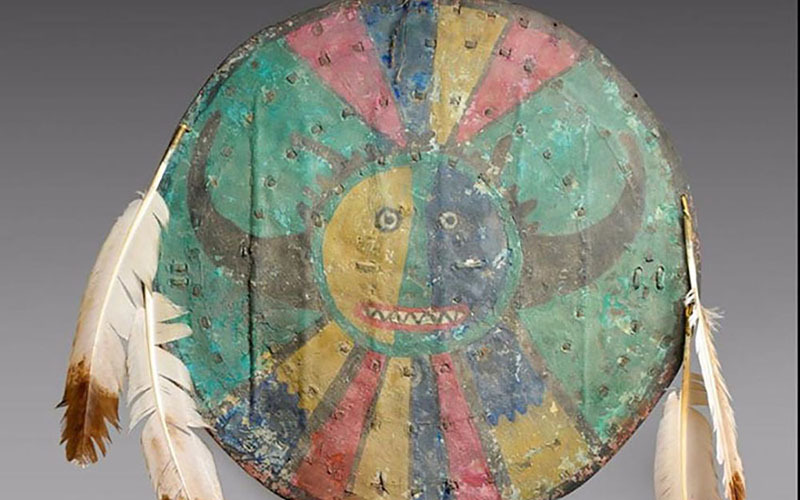 The EVE auction house in Paris withdrew the shield from a planned Monday auction of hundreds of other cultural items from tribes around the U.S., pending further investigation of how the shield was obtained. Acoma Pueblo Gov. Kurt Riley described the delay a “small victory,” but said the real reward will come when the shield is returned permanently to the tribe. The auction house estimates the shield is worth $5,585 to $7,820, and Riley said the shield likely dates back to the 1800s. French officials have asked the Acoma Pueblo to provide more documents proving that the shield was stolen, and the sale will be put on hold until the investigation is complete, Riley said. Questions were raised after French government authorities learned through customs officials that someone had brought in the Acoma shield from Arizona or New Mexico. That caused major concerns for Larry Roberts, acting assistant secretary for Indian Affairs at the Interior Department. “We’re concerned that this individual is trying to use a French auction house to sell something that they couldn’t get away with in the U.S.,” Roberts said. Officials from Interior and other federal agencies joined representatives of the Acoma Pueblo, Navajo and Hoopa tribes last week to call for a halt to the sale of all cultural items at the auction. Only the shield was withheld, but Interior, State and Justice department officials said they remain hopeful that they will be able to work on the issue with France going forward. Riley said his tribe is seeking an affidavit from the family they believe the shield was stolen from “somewhere in the 1970s.” Because the item is only taken out of storage once in a while for ceremonies, it is hard to pin down exactly when it might have been taken. “What we do know is that the item was in the possession of the family, and that it has now been taken off the auction block,” Riley said. While it is only the first step in a long process to return the shield to the tribe, Riley called its removal from auction for now “very gratifying.” He said the Acoma Pueblo are thankful for the assistance of federal officials who have been “advocating all along” for the tribe. Items from other tribes, including many Hopi kachina dolls and a warrior jacket believed to Lakota Sioux, still went for sale despite opposition from the tribes, the federal agencies and Rep. Steve Pearce, R-New Mexico. “Unfortunately, the burden of proof is on tribes to prove that the sacred object was stolen,” Roberts said. Several attempts in the last week to contact the EVE auction house were unsuccessful. For now, it has not provided U.S. authorities with the identities of those selling any of the items it has offered for auction, something Roberts said he would like to see changed. “If there’s nothing to hide, then they should provide identifying information on those selling these sacred items,” Roberts said.